Things are still tense in St Louis this week, so I promised more fuzzy animals for Monday morning. Francis and I went to visit the tigers (and lion!) 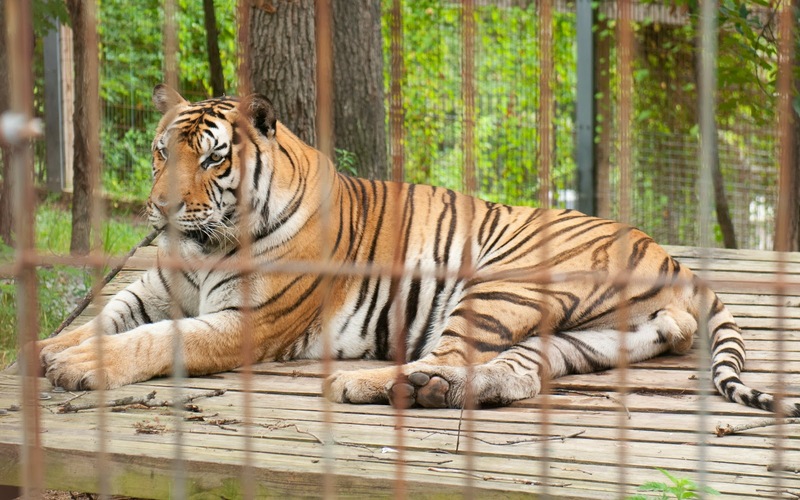 at Crown Ridge Tiger Sanctuary a couple weeks ago. I DESPERATELY want to spend the night at their bed & breakfast, and thought about sitting on these photos until we had the opportunity to do so, but the world needs more fuzzies right now. This is Izzy (above, top), of Fizzy Izzy Root Beer fame. Oh, you didn't know about Fizzy Izzy Root Beer? Well, now you do, and you can collect the caps and then turn them in at the Tiger Sanctuary for great tiger merchandise and even tour passes! In the St Louis area, you can buy Fizzy Izzy at Straubs, Friar Tucks, and Randalls. 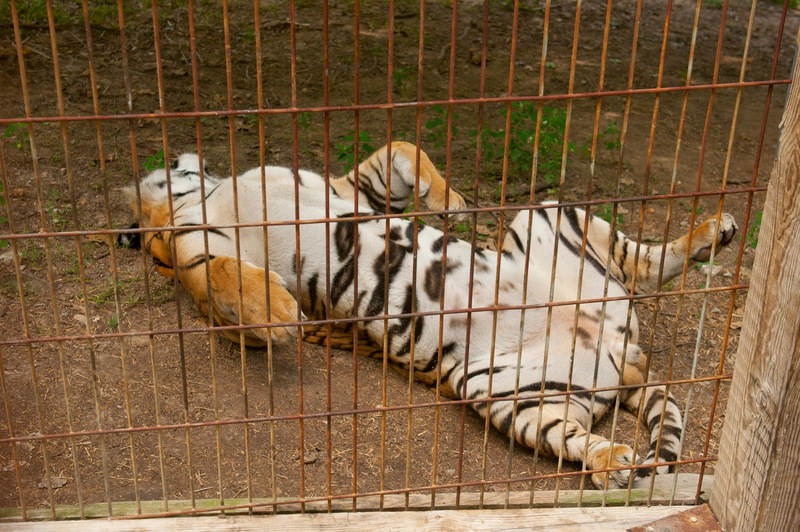 Big cats are solitary creatures and tend to live alone, but Thor and Gracie (above) are sisters who were rescued together and have lived together all their lives. Sometimes when they are separated for a little "me time" (everyone needs some me time), they will call out to each other. Suvarna is the latest rescue to come to the sanctuary, and had actually just got to meet the public for the first time the day before we arrived. 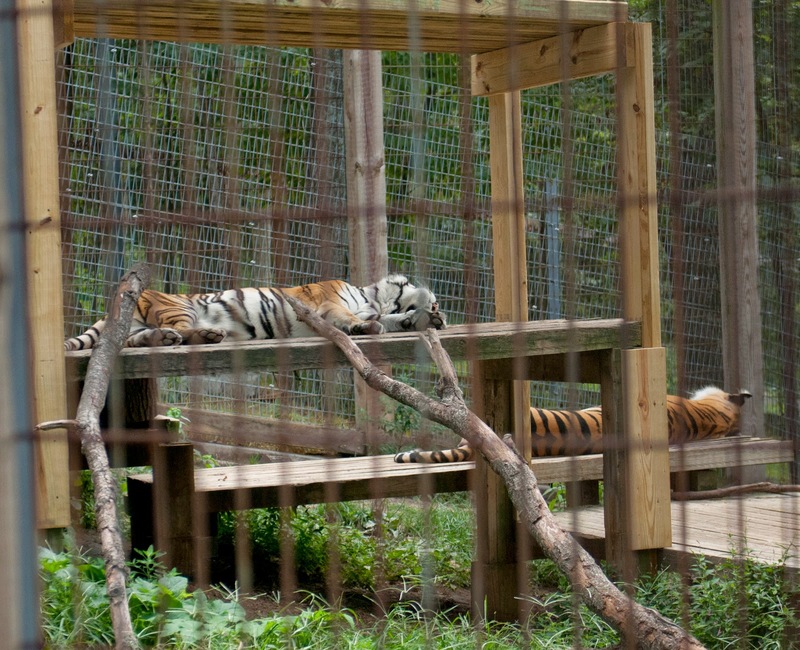 It's hard to tell from these close up pictures, but there are several different types of enclosures built into the ridge, and the cats are rotated every day for a change of scenery. 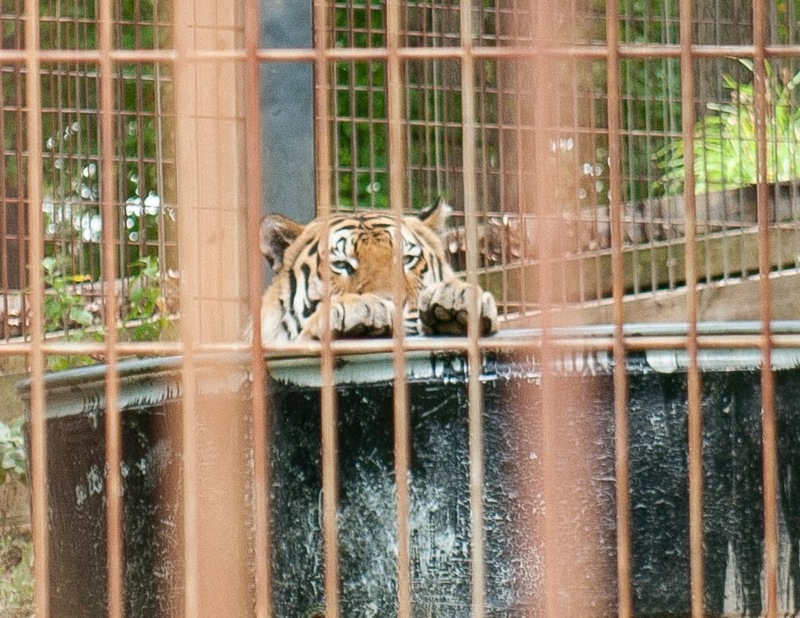 For the time being, Suvarna stays in the same enclosure, and is enjoying his pool and patio. 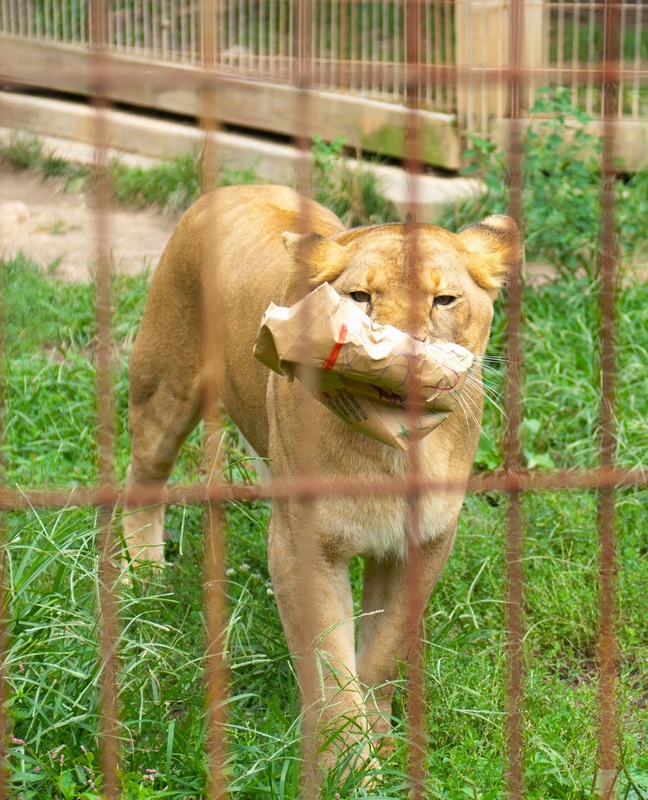 We happened to arrive just in time for an enrichment tour, which meant that our guide put together some goodie bags to toss into the enclosures. 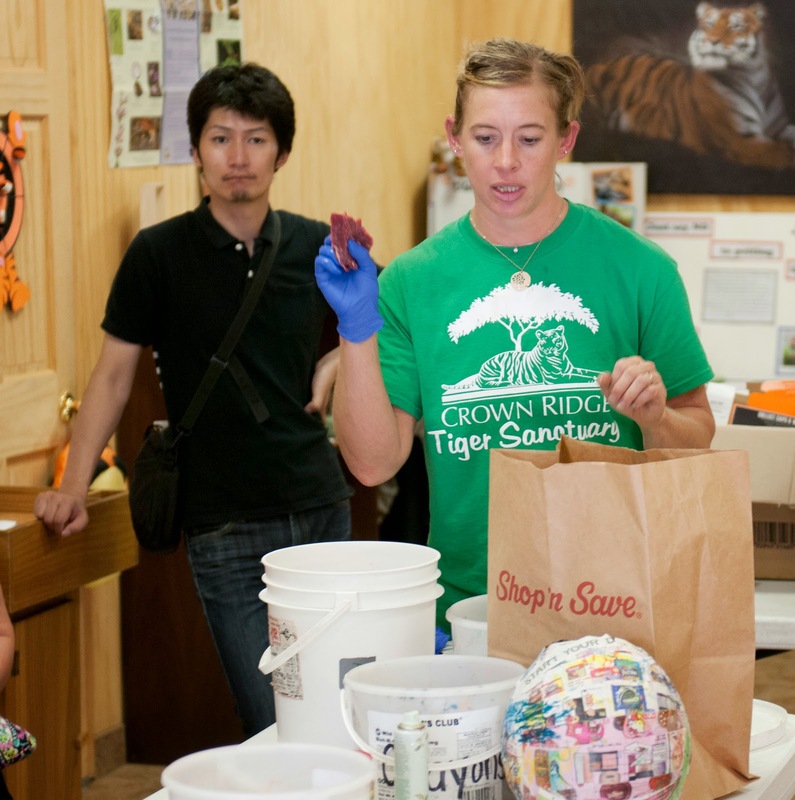 A paper mache ball or paper bag is colored by the kids on the tour, and then it's filled with meats and scented with things the cats like. Some like spices, some like cologne. No lie, they spray the bags with cologne! Here's Alexis the lion with her treasure. 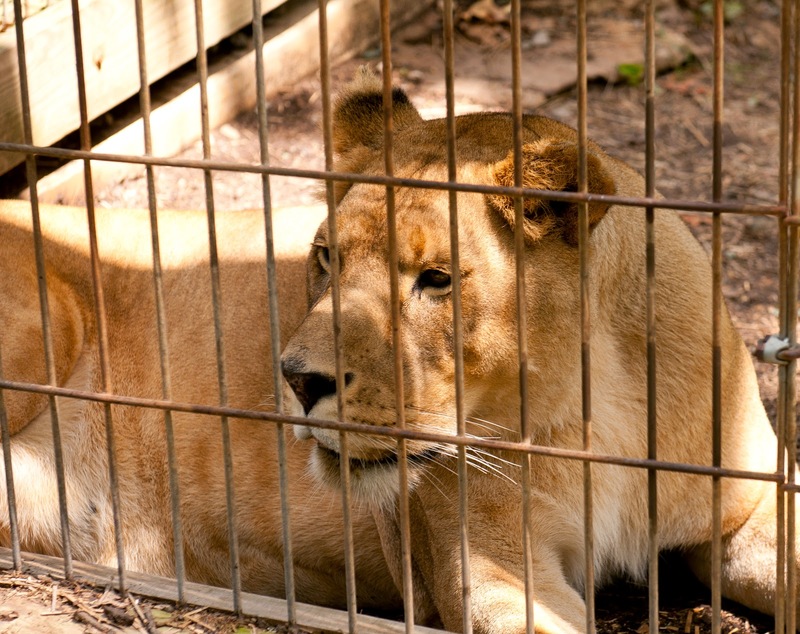 Before Alexis came to the sanctuary, she had never even touched the ground, and she still to this day has never seen another lion. She seems happy here. It is noted that she has several favorite toys, and does NOT share them. OK one more cute picture just for good measure. Here's Izzy enjoying his pool. 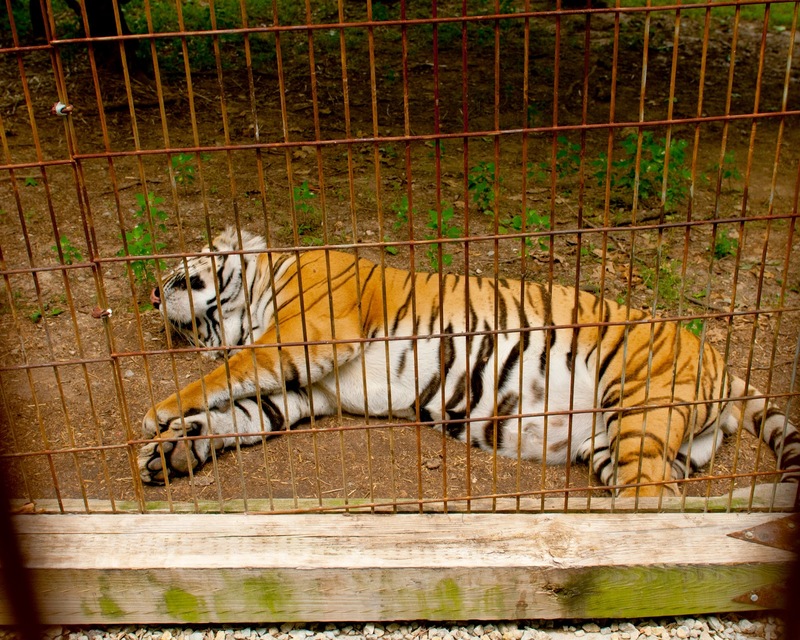 Crown Ridge Tiger Sanctuary and Tiger Ridge Lodge is located at 19620 Crown Ridge in Ste Genevieve, MO. Check the website for various tour options and hours of operation. Also nearby is Crown Valley Winery and Crown Valley Brewery & Distillery. Make a day of it in beautiful Ste Genevieve!